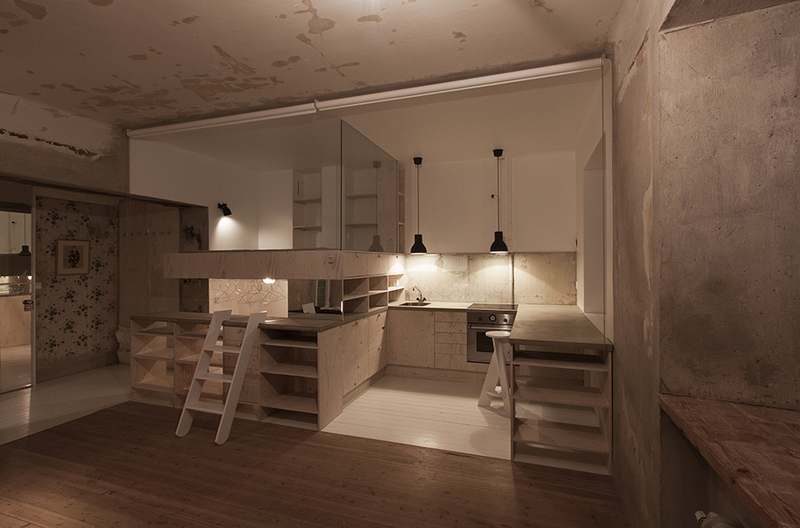 An apartment was left untouched for 30 years before it received new life. 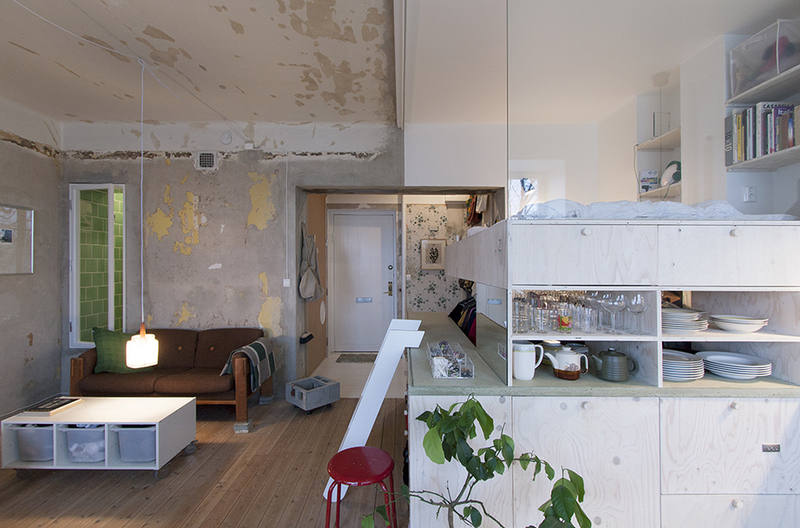 Located in Stockholm, Sweden where rising prices are making harder find affordable housing, this 387 square foot apartment was a project that sought to make the most of it’s location. 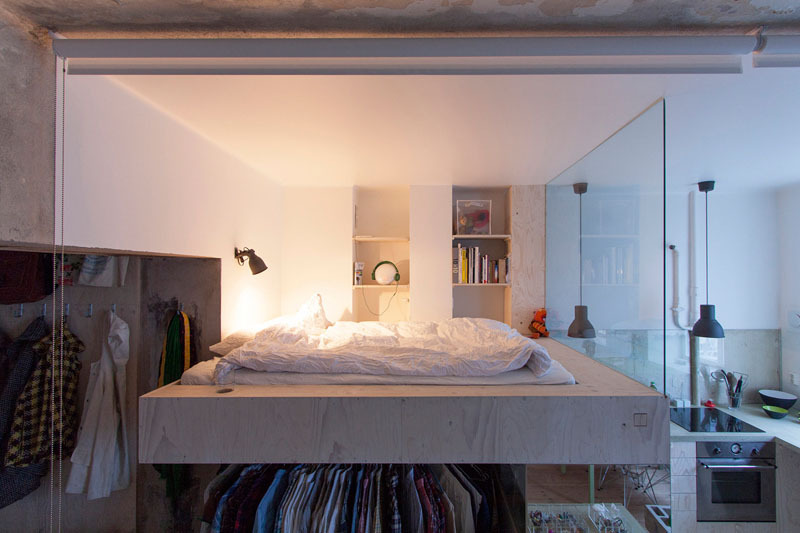 The bed is set on a elevated loft to provide storage underneath. 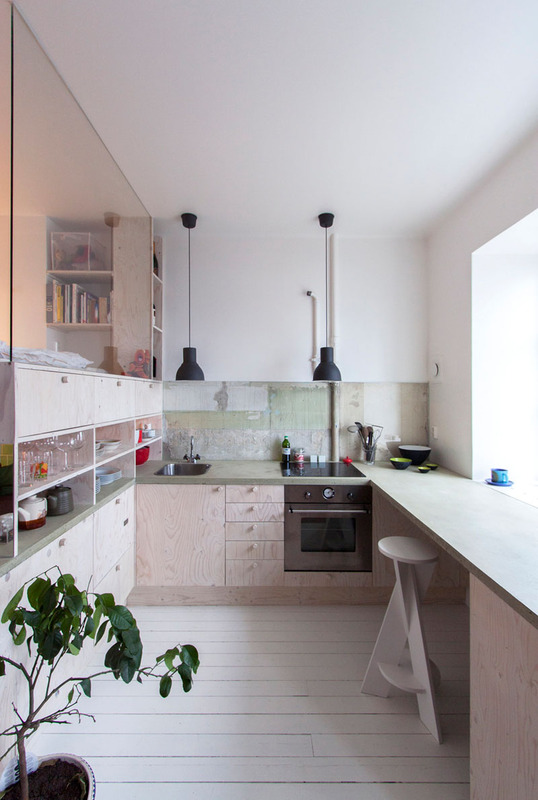 This serves as ample storage for the kitchen as well as a rotating carousel for clothes to be hung. 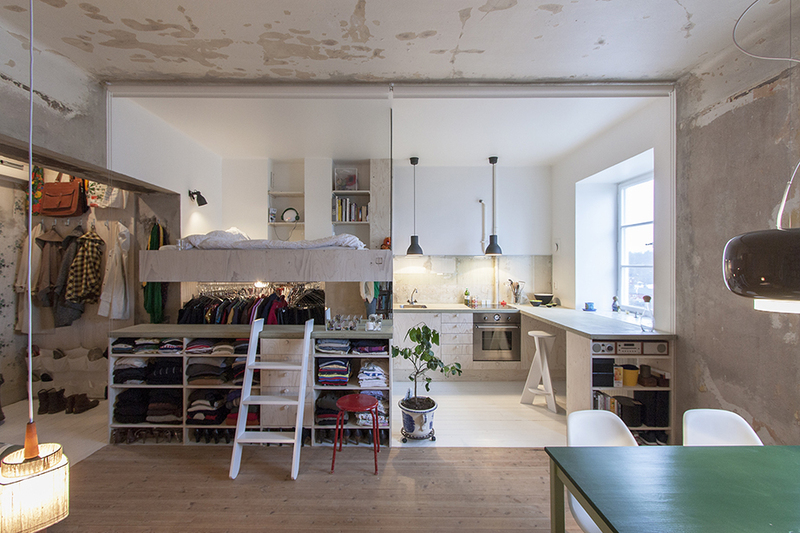 The inhabitant has access to their bedroom by a small step ladder. The glass divider provides separation between the kitchen and bedroom, allowing light to pass through. For privacy, curtains can be pulled from the ceiling to section off the different living areas. The living room and bathroom are located on the opposite side of the house. 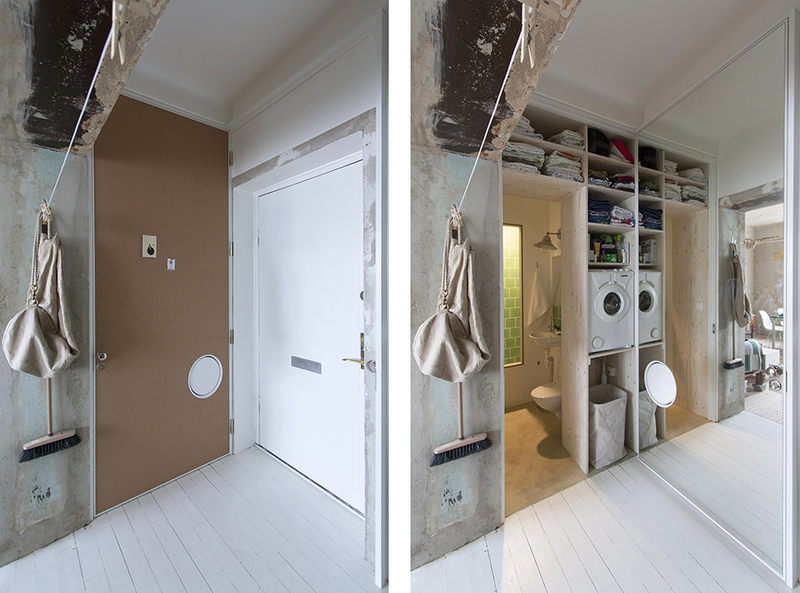 Access to the lavatory is hidden by a large door that reveals convenient shelving and washer. The door also contains a large mirror on the reverse side that tricks the eye into making the space appear larger. 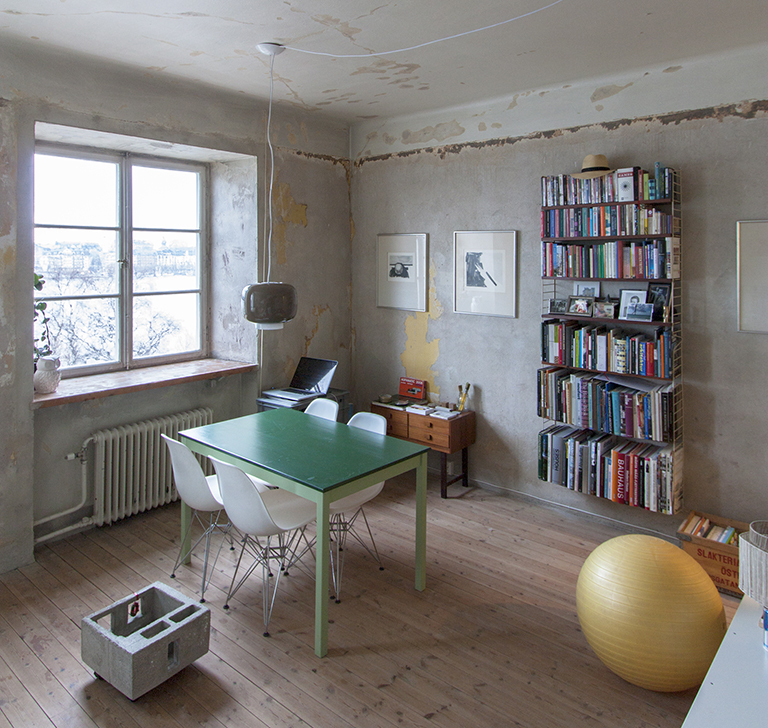 Although the functions of the apartment are close together, the space feels uncrowded. 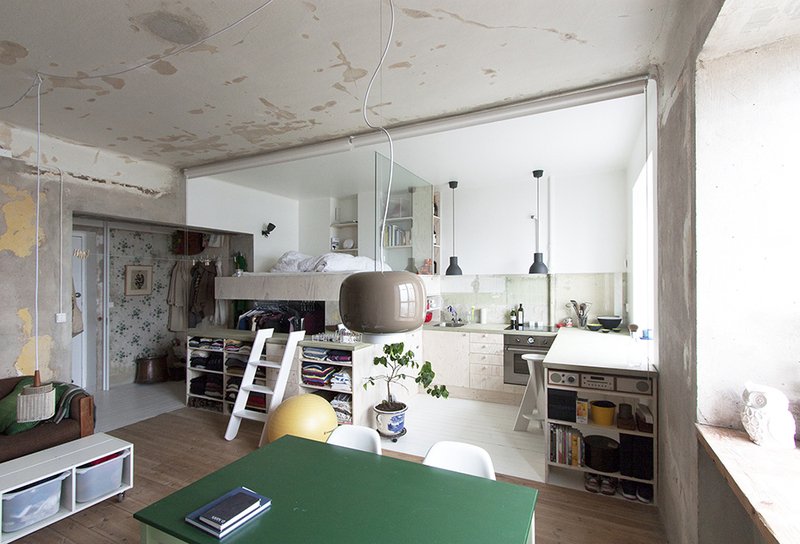 The renovation perfectly acheived its goal and is a great example of how to transform an unefficient space into something livable.